The US pressed Russia on Thursday for a “true cessation of hostilities” in Syria ahead of expected high-level peace talks in Geneva, warning that its patience is running thin. Foreign ministers from the two powers, which support opposite sides in the five-year conflict, were poised to hold a “personal meeting” in the Swiss city to push for a peace agreement, according to the Russian side. 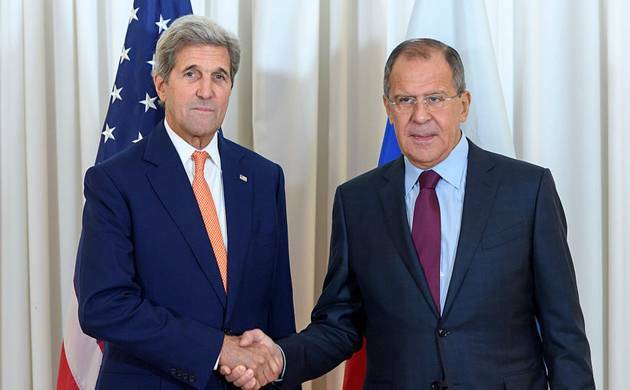 However, Washington did not confirm the face-to-face talks, with a spokesman for US Secretary of State John Kerry saying that negotiations were still ongoing. And US Defense Secretary Ash Carter told BBC radio today there was “quite a long way to go” before a final deal could be struck. Both sides have agreed that a deal would involve a durable ceasefire, humanitarian access to conflict-wracked areas and a resumption of peace talks. The Syria war has pitted the old Cold War rivals against each other, with Russia flying a bombing campaign in support of Syrian strongman leader Bashar al-Assad and the United States backing rebel groups fighting to oust him from power. US President Barack Obama held talks with his Russian counterpart Vladimir Putin on the sidelines of the G20 summit in China but failed to bridge their differences. Russian Foreign Minister Sergei Lavrov has said that new US sanctions over the Ukraine crisis have hampered joint efforts by both sides to resolve “regional conflicts”—a reference to the Syria war. As diplomatic efforts intensified, fighting in the complex war continued to claim lives, with Turkish shelling over the border into Syria killing six US-backed Kurdish fighters. Pro-regime forces also overran a strategically important district on the southern outskirts of Aleppo today, rolling back nearly every gain from a major month-long rebel offensive there, said the Syrian Observatory for Human Rights. The government advance in Ramussa further seals off Aleppo’s opposition-held eastern districts, where regime forces backed by the Russian air force have completely encircled opposition-held neighbourhoods.